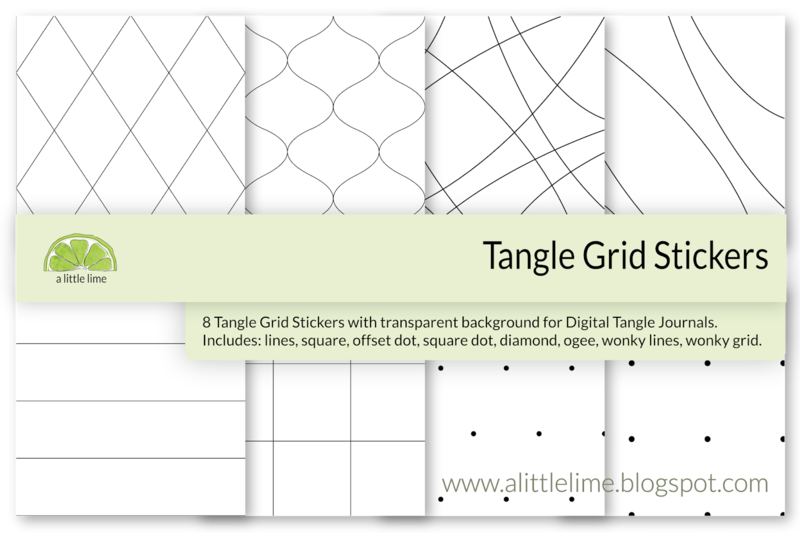 I'm very excited to announce my new Tangle Journals are available for sale, you can find all the details including video tours and bonus sticker info below. Before purchase, please read and view all of the information so that you can make an informed decision. 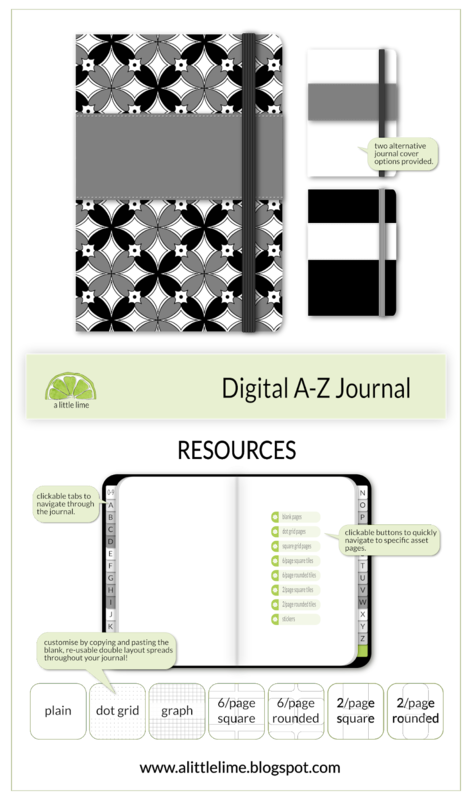 PDF File including clickable links to help navigate through the journal. 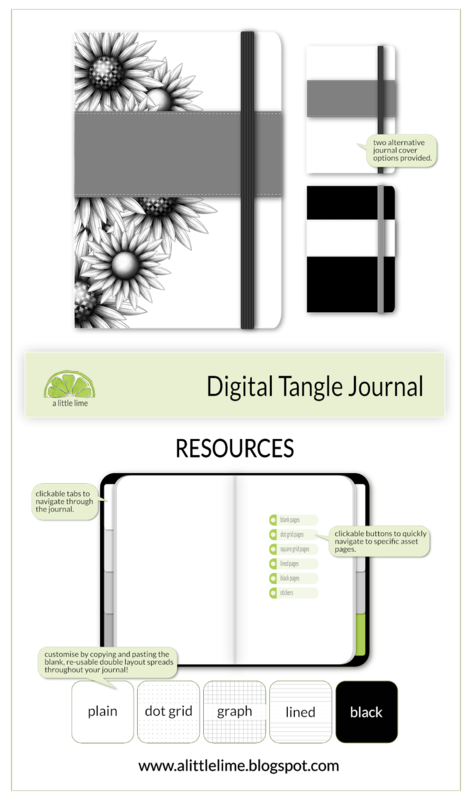 Customisable with page spreads that can be duplicated and inserted throughout the journal as needed. Use with PDF annotation apps (not included). I suggest: Goodnotes for IOS and Xodo for Android to maintain link navigation. 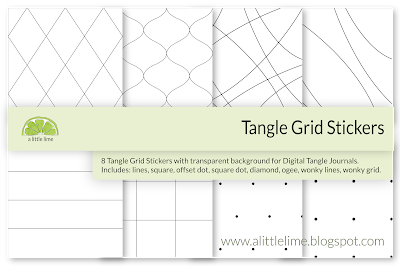 NOTE: This is a digital product not intended for printing - no physical item will be sent to you. 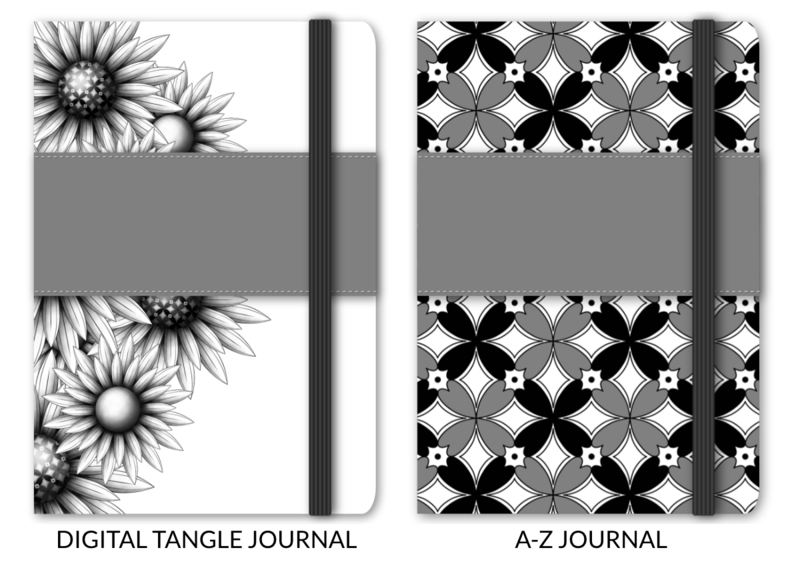 Take a look inside the blank journals, along with a quick tour of how I'm using them (if reading via email, you may need to visit alittlelime.blogspot.com to view them). Stickers are a great tool to add functionality and personality to your journals. 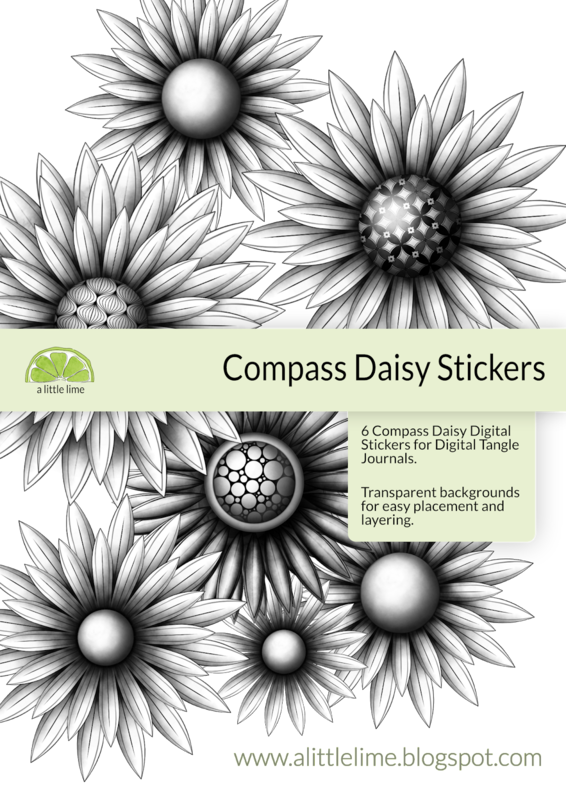 When you receive your download email included are Google Drive links for my Grid Sticker and Compass Daisy Sticker Sets. Please download stickers to your device or computer as a backup as Google Drive location may change in the future. Before purchase, please read all of the information so that you can make an informed decision as sales of digital products are final. Downloading: I believe the best method is to download to a computer then transfer files to your device, this gives you a backup. Though it can be done, device downloads can be temperamental. If you don't have a computer, please see my help videos to view how I download the digital journals directly to my iPad. Need help? See my help videos, or feel free to contact me. With regard to using and downloading the journals, I use an iPad and the GoodNotes app. For Android devices, I suggest Xodo. Please contact me with any suggestions or feedback. This is a new adventure for me and I would love to hear any suggestions for future templates and layouts that would make this a better tool for you. Copyright Information: These digital journals and sticker sets are made available for personal use only and cannot be reproduced, redistributed or used in any manner whatsoever without the express permission of the author, Helen Williams. All rights reserved.